Good news to all you Kawasaki fans. The company has just unveiled the 2016 ZZR1400, which is considered as one of the fastest ever production bikes in the world. The high-performance sports bike is available in two different variants, namely, ZZR1400 and ZZR1400 Performance Sports. 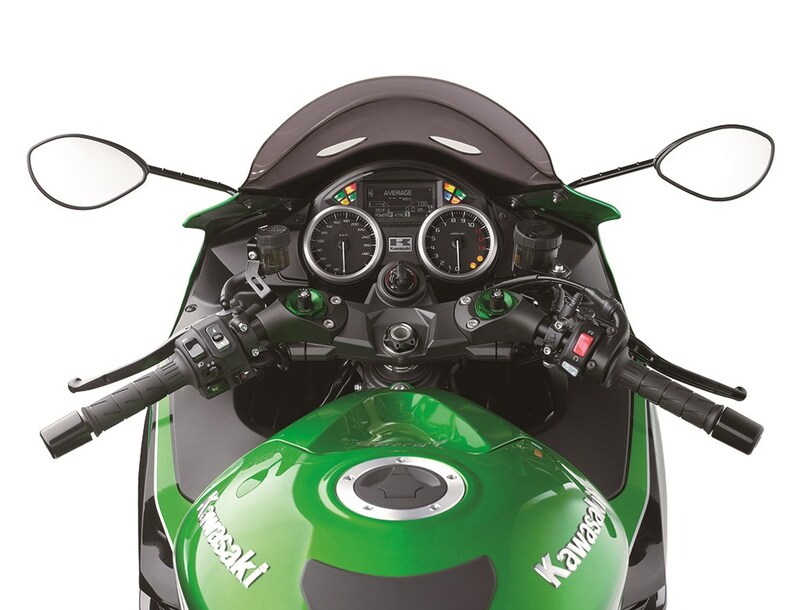 Kawasaki has given the bike an all new instrument cluster whose display can be changed between the colours white and black. This helps in improving readability both in the day and night time. Other than that, the LED display now gets a new dot patterned background which gives it a different look than before. On the mechanical front, the power output of the ZZR1400 remains the same, the ECU has been given new settings and a modified evaporative exhaust unit in order to make the bike meet Euro 4 emission regulations.The Kawasaki ZZR1400 Performance Sport model gets new Brembo M50 monobloc brake callipers with Brembo radial-pump master cylinder and stainless steel brake lines. It also gets Ohlins TTX39 rear shock absorber and Akrapovic silencers. Named as ZX-14R in India and ZZR1400 in international markets, the bike is capable of reaching 100km/hr in less than 2.6 seconds, and a top speed of upto 299 km/hr and this too is electronically limited, all thanks to its 1441cc four-stroke, liquid-cooled, in-line four-cylinder engine delivering a whopping 200 PS of maximum power. 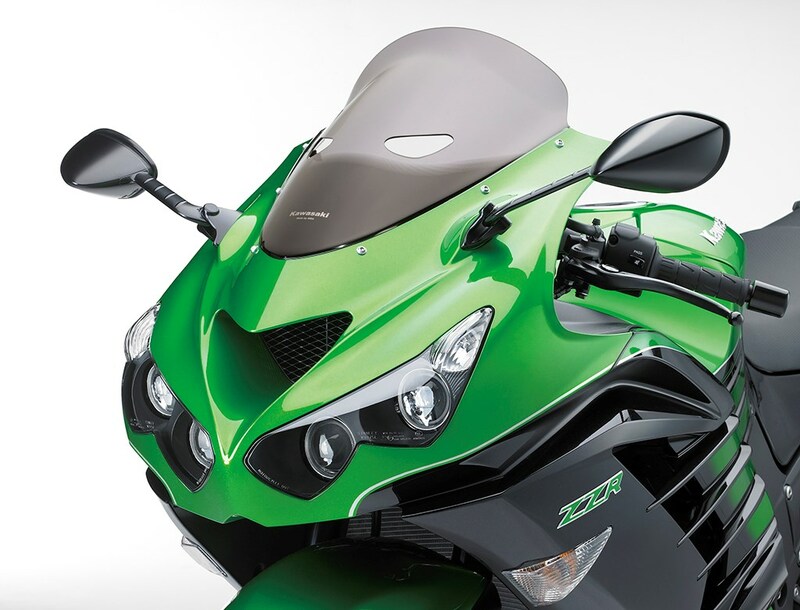 The ZX-14R is priced at Rs. 16.8 lakhs (ex-showroom, Delhi).